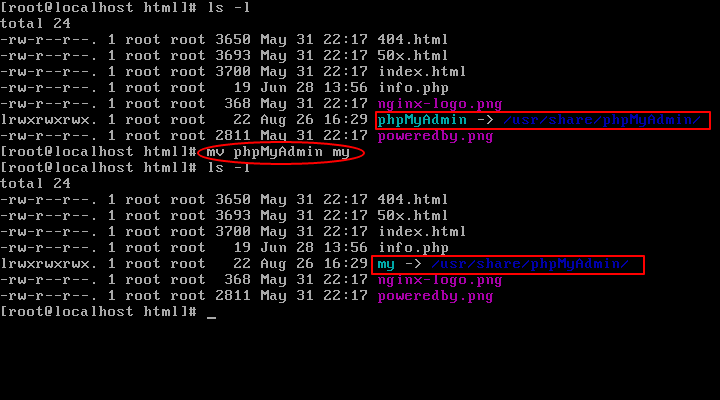 By default, the login page of phpmyadmin is located at http://<ip address>/phpmyadmin. The first thing that you will want to do is changing that URL. This will not necessarily stop attackers from targeting your server, but will lower the risks of a successful break-in. This is known as security through obscurity and while some people would argue that it is not a safe measure, it has been known to both discourage attackers and to prevent break-ins. Note: Make sure you have working LAMP or LEMP setup with PhpMyAdmin installed on your system, if not, then follow Setup LAMP or LEMP with PhpMyAdmin. open /etc/httpd/conf.d/phpMyAdmin.conf if in CentOS or /etc/phpmyadmin/apache.conf in Debian and comment out the line(s) beginning with Alias. The above will allow us to access the phpmyadmin interface via http://<ip address>/my. Feel free to change the Alias above if you want to use another URL. 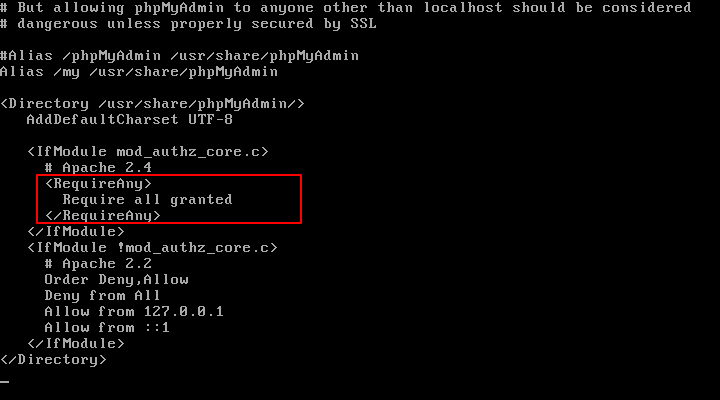 In the same file, make sure the Require all granted directive is included inside the Directory /usr/share/phpmyadmin block. Finally, restart Apache to apply changes and point your browser to http://<ip address>/my. Finally, restart Nginx and PHP-FPM to apply changes and point your browser to http://<ip address>/my. 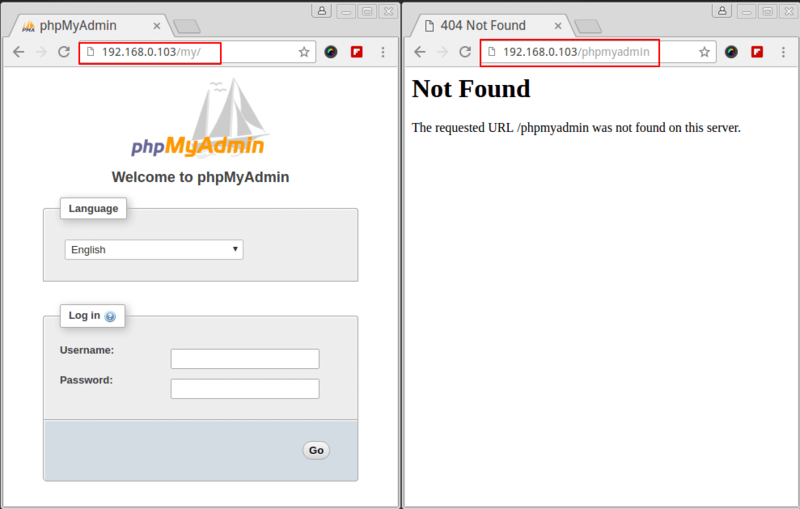 It should open the phpmyadmin interface (as shown in the image below), whereas http://<ip address>/phpmyadmin should result in a Not Found error page. Do not login using the database root user’s credentials yet. You don’t want those credentials going through the wire in plain text, so in the next tip we will explain how to setup a self-signed certificate for PhpMyAdmin login page. Thanks you, but it didn’t worked for me on my Debian 9.5 with VestaCP and Nginx. Awesome article, but i have apache not ngnix. The tutorial includes an Apache version. (see the first guide). However, for Ubuntu 18. I would like to point out that changing the URL address has been made easy. 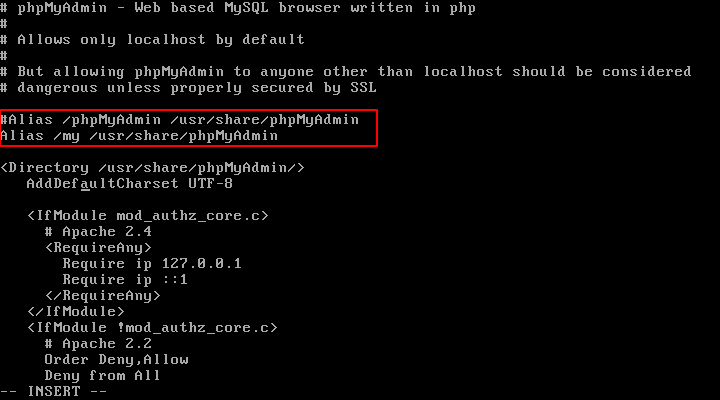 Just navigate to /etc/phpmyadmin/apache.conf then change line 3 (Alias /phpmyadmin /usr/share/phpmyadmin) to Alias /NewURL /usr/share/phpmyadmin. Then restart apache2.